Company ‹ Estevan Calvo Diseño y Mecanizados S.L. Estevan Calvo Diseño y Mecanizados S.L. is a company dedicated to the design and manufacture of industrial parts, placed in Rafelbunyol (Valencia). 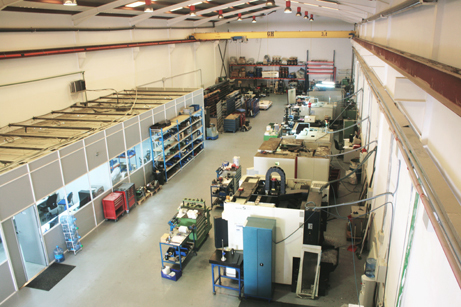 We have over 25 years experience working for various industrial sectors, which include automotive, food, plastic injection molding, construction and general manufacturing. Our core values are quality, productivity and service. Our goal is to satisfy customers by providing advise and quality products. We add value to the manufacture of industrial parts by offering personalized service. Administration, Commercial, Technical Office and Production. Our core values are quality, productivity and service. In Estevan Calvo Diseño y Mecanizados S.L. we will study your case and will give you our best proposal.